"Psychic Vibrations" Now Available as an e-Book from JREF! Good news! My latest book Psychic Vibrations, taken from my columns of that name published in The Skeptical Inquirer, is now available as an E-Book from JREF, the James Randi Educational Foundation. You can, of course, still get the paperback edition of the book. Follow the book icon at the top right of this page, and be sure to include the discount code SPK8R6GT to get 25% off. Your cost will be $14.96. Plus shipping of course: unlike electrons, books made of paper cannot be shipped for free! Let's continue the theme of two recent postings, the clash between what we know about physics, and UFO claims and beliefs. In Is there a Warp Drive In your Future? (December 2), UCSD physics professor Tom Murphy examines the claim, "If it can be imagined, it can be done." He reports, "It took me all of two seconds to violate this dictum as I imagined myself jumping straight up to the Moon... I wondered how pervasive this attitude was among physics students and faculty. So I put together a survey. The overriding theme: experts say don't count on a Star Trek future." Then in Is Interstellar Travel 'Preposterous'? (December 29), we examine three "classic" papers written by physicists in the 1960s, discussing the feasibility of interstellar travel. Nobel laureate Edward M. Purcell examines the difficulties posed not by technological limitations, but by fundamental laws of physics, and pronounces the idea "preposterous." Another article in this same vein recently appeared in E-Skeptic, the email newsletter from the Skeptics Society. 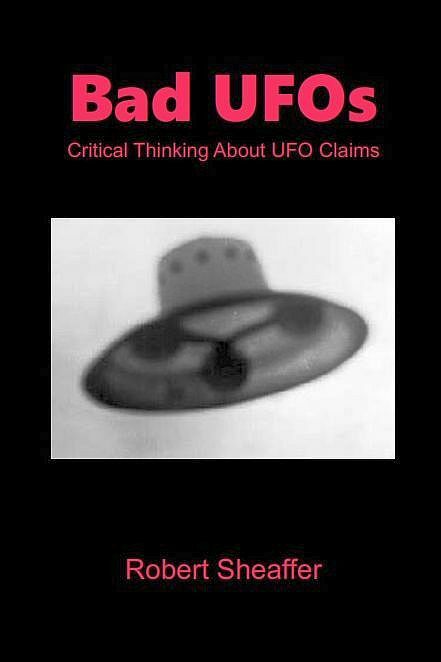 It is titled The Physics of UFOs - How Realistic is it for spacecraft to travel interstellar distances to earth? 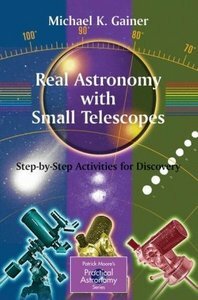 Its author is Dr. Michael K. Gainer, Emeritus Professor of Physics and former chair of the Department of Physics at St. Vincent College in Latrobe, PA. The basic principles of physics are applicable independently of where in the galaxy a stellar system is located and will not change over time. Newton’s three laws of motion and the conservation of energy are descriptions of the manner in which different parts of a physical system interact. Consequently, a model based on an exploratory expedition leaving Earth would apply equally to all planetary systems in our galaxy. Any culture, no matter how advanced in technology, would face the same constraints imposed by physics. He starts with the assumption that a vessel to make such a trip would need to have a mass at least about 100 times that of America's late Space Shuttle, with its living quarters, life support, nuclear fusion reactor, etc. Assume we want to travel to a star system 10 light years away at 0.5c, a trip that would take about 20 years, "For propulsion of the hypothetical spacecraft the blast energy would have to be converted, with near 100% efficiency, to a constrained unidirectional particle beam with thrust pulses of 1.8 megatons per second for 174 days." But here is the rub (and here is what upsets the Star Trek Skeptics crowd): "There is no possible material construction that can constrain and direct the thermal and blast energy of the nuclear fusion rate required for interstellar travel. Consequently, I conclude that alien spacecraft cannot exist." This agrees exactly with what the physics Nobel Laureate Edward M. Purcell explained to us fifty years ago. First, to assume that something is impossible because current technology, as opposed to the known laws of physics, doesn’t allow it is “silly.” Other points were that there is a great deal of research being done into controlled fusion and that might considerably change the way in which a thermonuclear spacecraft engine might work. Furthermore, as there are now indications that quantum physics might allow a spacecraft to draw energy from the vacuum as it travels, the thermonuclear engines might not be the only source of fuel. Additionally, Frederick said that the Gainer assumed that nuclear fusion is the best form of energy. He disagreed saying that particle / anti-particle annihilation was a better alternative. Finally, he said, there’s no reason one couldn’t go slower and use less fuel, if you, for instance, freeze the crew. If Dr. Fredrick knows how to obtain antimatter to use as fuel, and how to control and constrain it, we would be very interested to know this. "Zero point" quantum energy from space is a common woo-physics claim (see, for example, Dr. Harold Puthoff), but is not accepted by mainstream physics. Gainer's response to Huston is in the following issue of E-Skeptic, and begins by noting the difference between "belief systems and science... A belief system need not concern itself with objective reality. This contrasts with science in which theories are subject to objective evaluation by repeated experiment and measurement. Science assumes a priori the existence of a measurable objective reality. Indeed, science is the delineation of this reality." He continues, "any spacecraft, whether from present or future technology, would have a significant inertial mass. Ten thousand years from now conservation of energy will apply anywhere in the galaxy as well as it does today." As for the objection that magical future technologies could somehow build substances that can be used to constrain fusion reactions, "because of the maximum cohesive force that electrons can create between protons no substance will remain solid above 5000ºC. " The temperature of a nuclear fusion reaction is on the order of 10,000,000 degrees C. That has nothing to do with present-day, or future technologies. It is because the energy of the strong nuclear force released in the fusion reaction is overwhelmingly more powerful than the weak electromagnetic bonds that hold atoms and molecules together. But the Star Trek Skeptics don't want to hear this. They want to believe that some future technological wizard will invent a super-glue whose atomic binding is even stronger than the strong nuclear force. Gainer concludes, "It is not present or future technology that negates interstellar travel—it is the nature and structure of matter and the universe."